﻿ How to Grow Your Email List (Before It’s Too Late) » Red Mango Marketing! Summer is coming to an end, and for small business owners and nonprofits, the real work is about to begin. It’s time to get back to business! As we approach the end of the year, your business or organization is going to want an engaged email list to send focused promotions and campaigns to. But if you wait to start growing your email list, you’ll already be too late. If you want to drive maximum sales or donations during the end of year season, you need to start growing your email list today so that when the time comes, you’ll have a good sized email list of engaged subscribers who want to hear from you. So how do you go about building this list in the first place? For effective list building, you need to know the answer to three key questions: Why would someone subscribe to your email list? Where should you collect email addresses? And how should you ask people to sign up? 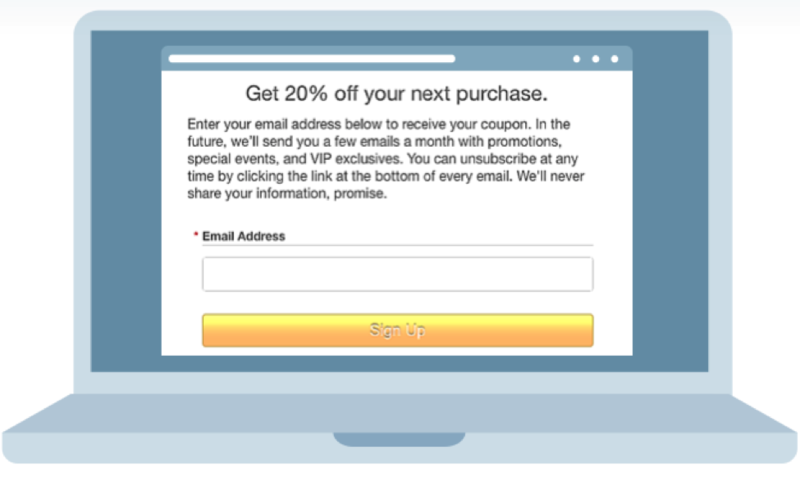 Why would someone subscribe to your email list? Few people wake up each morning hoping they’ll get more emails. They don’t want to receive emails, they want to receive value. And if this value comes in the form of an email, then that’s fine with them. What does delivering value actually look like? People subscribe to email lists for three main reasons: they want to receive promotions and discounts, they want access to exclusive content, or they want to show their continued support for an organization. Make sure you have a plan to deliver value to your subscribers based on what they’re interested in. Where should you ask for email addresses? There are three main ways that you can collect addresses when list building: in person, through printed materials, and online. If collecting in person, feature an in-store sign-up sheet at checkout that invites customers to subscribe for VIP benefits. You can also get email addresses when helping a customer or supporter by telling them briefly about the cool stuff they’ll receive by joining your email list. Collect email addresses at events on your tablet using our ListBuilder app, which automatically adds contacts into your Constant Contact account. Or try the ScanBizCards Connector to upload scanned business cards directly to your email campaign lists. To collect via print materials, you can use a Constant Contact feature called Text-to-Join. With Text-to-Join, you choose a keyword that people can text to a set number, resulting in them being instantly added to your email list. Put signage around your store that encourages shoppers and customers to use their phones to join your email list. You can also put your Text-to-Join information on your business card, on flyers, brochures, and direct mail pieces. When asking for addresses online, link to your sign-up form in your social media posts/profiles. We have many features that can help you embed a “join my mailing list” form on your site, create a pop up form, or integrate with your Facebook Business Page. You can also add a link to your sign-up form in your email signature, and add an embedded form on your website. If you want to find new leads for you business or organization, try our new Facebook Lead Ads tool. This new social advertising tool helps you increase your reach on social media and grow your contact list. Hint: Constant Contact has a WordPress plugin to easily add your website visitors to your email list. As a bonus, expand your contact capturing with integrations that seamlessly work with your Constant Contact account. Neat is another way can scan business cards and automatically add these people to your email list. Gazella offers a way to make email sign-ups required if someone wants to use your guest wifi. LeadPages helps you quickly create and deploy high performing landing pages. Shopify lets you drive more business through e-commerce. How should you ask people to sign up? Getting rejected is never fun. But if you have a plan for how to ask effectively, you’ll minimize rejection and maximize email subscribers. The key to any good list building script, online or in person, is answering four key questions most potential subscribers will have. First, what’s in it for them? Explain the value of joining your email list. This may include exclusive promotions and discounts, helpful content, or invitations to events. Second, what objections do they have? Address any potential concerns including the frequency you’ll be sending emails, and how easy it will be for them to unsubscribe. Third, how can they easily sign up? Make it painless and foolproof. Guide them through the signup process, doing it for them if possible. Finally, what should they expect next? Explain what happens next and what type of emails they can expect to receive. Even if your employees are trained on how to ask for email sign-ups, they may be hesitant to ask customers to subscribe. One of the best ways to persuade them to take action is to hold a competition and provide an incentive. For example, whoever collects the most emails before the holidays will receive a $50 gift card. The important thing is for everyone who works at your business or organization to know that growing your email list is a priority. Now you have the list building techniques you need to get back to business and grow your email list. Whether you have ten subscribers or ten thousand, these tactics will keep your list growing and get it ready to bring you year end sales and donations. And while having a large list can be an invaluable resource, focus on quality over quantity. A smaller list of engaged followers is better for your business or nonprofit than a larger list full of followers who don’t care about you. This means that you’ll only want to have people on your list who are interested in you and your business or cause. By following these tactics, you will grow a list of loyal subscribers who will become loyal customers and donors to finish the year out strong. And that’s what email marketing is all about. 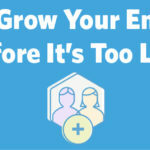 The post How to Grow Your Email List (Before It’s Too Late) appeared first on Constant Contact Blogs. This entry was posted on Friday, September 29th, 2017 at 8:00 am	and is filed under Email Marketing, News & Updates, Online Marketing. You can follow any responses to this entry through the RSS 2.0 feed. Both comments and pings are currently closed.